Established in the year 1970, Canadian Crystalline Water India Ltd. is engaged in manuafcturing and exporting of Water Treatment Plant, Water Desalination Plant, Domestic RO, Sewage Water Treatment Plant, Effluent Treatment Plant etc. We have successfully supplied more than 10000 Projects of various sizes in India. The above projects have covered various industries like Textile, Tanneries, Bottle Water, Beverages, Sugar Mills, Refineries, Automobiles, Pharmaceuticals, Hotels and Resorts etc. globally. Our successful history for the past 45 years speaks about our Technical Strength. Our specialization and expertise include Bottle Water Projects with more than 5000 installations worldwide. We are one-stop manufacturers of complete Processing, Packing Machineries and PET Blowing Machine for Bottle Water. We have secured a 5 Million USD contract against global competition for the supply of Containerized Desalination Units to the US Defence through M/s. Hurronsbury Ltd. U.K. The company also won a 3 Million USD order for Bottle Water Project from Federal Electrical and Water Department U.A.E. 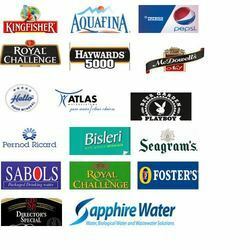 We are also one of the very few companies in the world, approved to supply machines to Pepsico Holdings Private Limited. Canadian Crystalline has received a Pioneer Certificate from the Chairman & Managing Director of Pepsi Co Holdings Pvt. Ltd., for the world debut of Aquafina bulk water. We are the approved supplier to leading Pharmaceutical Companies for USP 26 - 27 Standard Plants (e.g. Johnson & Johnson Limited). Canadian Crystalline has global operations with Channel Partners and own establishments over 42 Countries Worldwide. Canadian Crystalline is a reputed name among the Industrial Water users for the past four decades. A pioneer in this field, our company is one of the very few in the world with a complete range of water, wastewater, bottled water products. Our position of strength has been attained by our focus on technological advancement through continuous Research and Development. The company has a full-fledged R&D center where our engineer's work on new product design, development, as well as up gradation of existing ones and indigenization of foreign technologies obtained through collaborations. Our international business division contributes a major share of the companies sales turn over. The company has established offices in Dubai, UAE as well as in the USA and China to take care of regional support. The company has executed the largest Mineral water project in India with the capacity of 1.2 Million liters per day. Our consistent high performance in the field of waste water treatment & purification segment has assisted in receiving various achievements & acknowledgments across the industry. Our products and sophisticated range of adept service solutions are extensively used in many water industry applications. We provide a comprehensive range of turnkey solutions as per the best standards and customized requirements of countless clients. 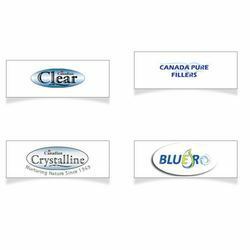 We manufacture these products under the brand name Canadian Clear, Canada Pure Fillers, Canadian Crystalline, Blue RO etc. Canadian Crystalline is a multinational company who are in the field of water treatment /wastewater treatment technology. Supporting the demand for pure water as well as saving the water for global usage. Over the past 45 years it has evolved into a multifaceted organization that is internationally recognized for excellence in various facets of the business – superior quality of production, customized equipment solutions, competitive pricing policies and a global network of 10000 satisfied clients and stakeholders.